Life is chaotic for many Farmington residents. At times, it’s impossible to get everything done and so sometimes things get delayed or dropped altogether. Sometimes your car has to wait another 500 miles for an oil change or you are a month late replacing your furnace filter or you realize that you’ve had a leaky faucet since the Clinton administration. 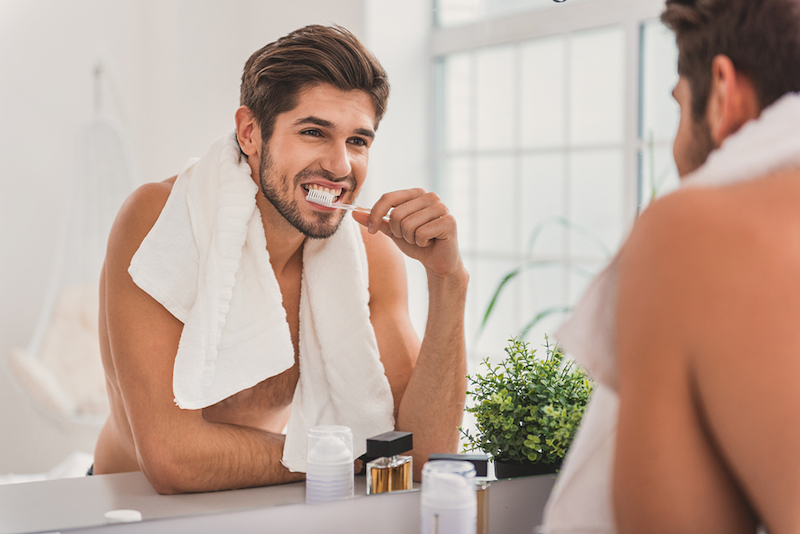 Many important things get put on the back burner, but we plead with you not to get careless about indispensable dental care. Here are some prevalent dental care shortcuts. Are you guilty of any of them? Your teeth deserve an attentive two minutes or more. Slow and methodical beats quick and dirty. Use a method to make sure you get every tooth. Playing one of your favorite songs while you brush may help you improve your smile in Farmington. We hope none of our patients put off exams and cleanings. When you feel tooth pain, it may be way too late to prevent a filling or even a root canal. When softer plaque turns to calculus, you can’t clean it off with a toothbrush. Six-month cleanings help get rid of the calculus or tartar before it can damage your enamel or irritate your gums. While it’s better to floss with a floss pick than to not floss at all, it’s important to know that floss picks can only clean a part of the tooth’s surface. A floss pick holds just a small length of floss stretched in a straight line. Looking down, a tooth is shaped somewhat round or oval. A straight piece of floss just doesn’t make sense geometrically because it doesn’t conform to the shape of the tooth as well as traditional floss. When you wrap a string of floss completely around the circumference of a tooth, you can more thoroughly clean that crucial area around and just below the gum line. We have seen patients who are faithful floss pick users who developed decay in a minuscule crack the floss pick skipped over day after day. At Sundance Dental & Orthodontics, we urge our patients to practice preventative dentistry to safeguard their smiles for life. We offer the full spectrum of general and cosmetic dental procedures including sedation dentistry, teeth whitening, dental implants, smile makeovers, and orthodontics. For more information about improving your smile in Farmington, call Sundance Dental & Orthodontics today at 505-985-5626.